Belmopan, Belize; June 7, 2017 – The Caribbean Climate Online Risk and Adaptation tool (CCORAL) Training Workshop moved to the Public Workers Union in Grenada this week, and will run from June 6 to 9. 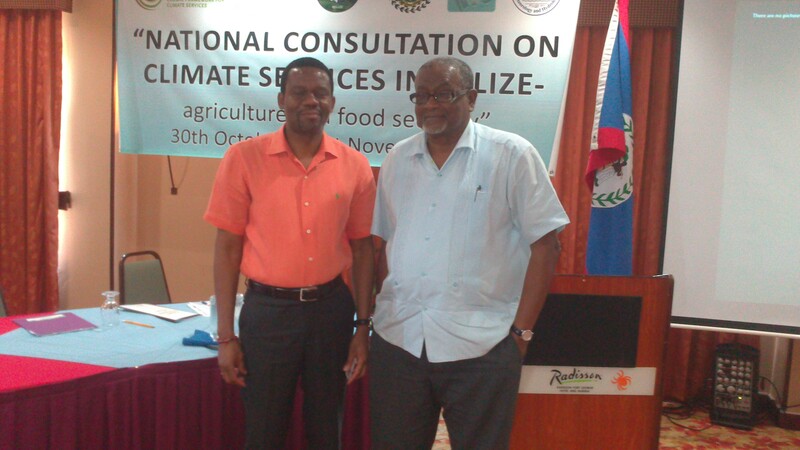 The training is being carried out by the Caribbean Community Climate Change Centre (CCCCC) and the United States Agency for International Development/ Eastern and Southern Caribbean (USAID/ESC) under the USAID Climate Change Adaptation Program (USAID CCAP). 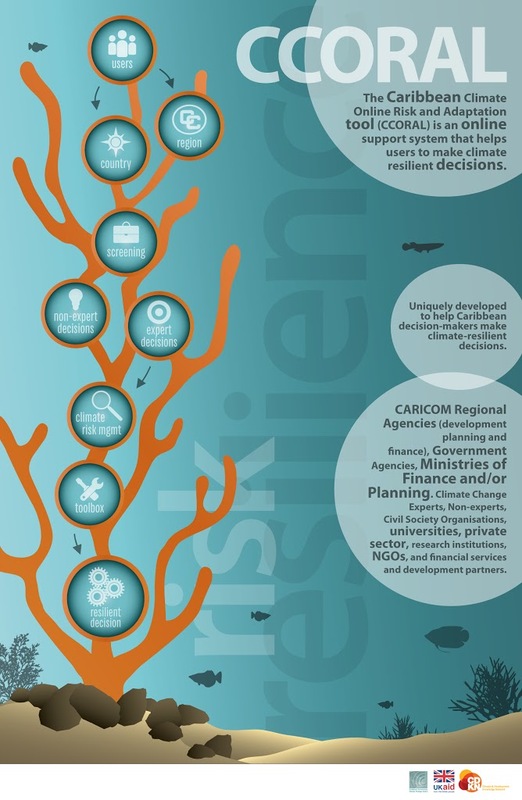 This Climate risk management tool, CCORAL, is being embedded in development planning across the region as a comprehensive approach to climate change risk assessment and adaptation for building climate resiliency in decision-making. It provides users a platform for identifying appropriate responses to the impacts of short and long term climate conditions by applying a risk management approach to development planning. The training workshop is targeting key government, private sector and NGO agencies/institutions as part of a national capacity-building exercise aimed at inculcating a risk management ethos in decision-making. Through use of this online application tool, participants will evaluate national developmental issues and present their findings to senior policy and decision makers on completion of these evaluation exercises. The Caribbean Community (CARICOM) agenda for reducing risks and building resilience in the region got a much-needed boost recently. Twenty-three disaster risk management and community development professionals from 15 countries gathered at the headquarters of Caribbean Development Bank (CDB) for an intensive five-day workshop on project design and implementation organised by Community Disaster Risk Reduction Fund (CDRRF). Speaking at the opening ceremony of the workshop, CDB’s vice president for operations emphasised the need for a broader reach and deepened relations with borrowing member countries (BMCs). “We want to optimise the facility provided by CDRRF to assist in building capabilities at the community level. We see the need for CDRRF when we consider the fact that communities can be affected extensively by the impact of natural hazards. That they can be displaced, experience disruption in livelihoods and even have security and personal safety reduced. The need to help build community resilience becomes quite evident. CDB is keen on consolidating its relationship with BMCs,” stated Patricia McKenzie. CDB’s commitment to strengthening national mechanisms for community resilience building was bolstered by the synergies created with the support of international development partners with a shared vision for the region. The harmonisation has resulted in increased investments in initiatives for disaster risk reduction (DRR) and climate change adaptation (CCA). The region’s disaster management agency echoed those sentiments. “Communities are the first line of defence in preventing disasters. It is, therefore, essential to deepen engagement beyond disaster management offices. There is an urgent need to participate with community actors to reduce risks and build capacity and resilience,” noted Ronald Jackson, executive director of the Caribbean Disaster Emergency Management Agency (CDEMA). He went on to make a case for more targeted investments in CCA. “The Caribbean accounts for less than one percent of greenhouse emissions yet most climate change-related projects are heavily concentrated on energy emissions. Resources must be more effectively used. Focus must be shifted to dealing with the every-day present and future risks to lives and livelihoods. Strengthened and sustained community resilience is one of the key priority areas within the comprehensive disaster management strategy. It is an area in which CDEMA has made significant investments in the past and continues to support based on requests from member states,” Jackson said. The aim of the workshop, which was facilitated by David Logan, was to broaden participant’s view of CDRRF and increase their capacity to assist community groups to design local solutions that meet CDRRF’s funding criteria. As such, participants were exposed to exclusive content for the design and development of CDRRF projects. Topics included the development of performance measurement framework and the importance of identifying correct indicators. Other areas of learning covered designing work breakdown structure and procurement plans as well as undertaking social and gender analyses as participants were exposed to the project management cycle. The workshop further allowed for some focus on environmental impact assessment, project costing and scheduling; all within the framework of DRR/CCA projects. The trainees also benefitted from rich experiences as they delved into live project ideas. As BMCs move to capitalise on the skills passed on by CDB, it is expected that there will be an influx of innovative and transformative projects with tangible results that can produce lessons for DRR/CCA. “While you were exposed to CDB’s way, the range of topics remain very useful. 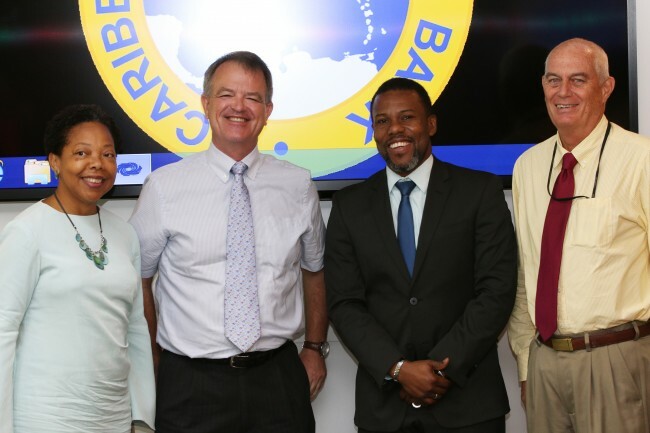 The skills garnered will suit the design and implementation of development projects across the board, not just CDB-funded projects”, remarked CDB’s acting director of projects, Andrew Dupigny as he closed the workshop proceedings. The project design and implementation workshop is the first of its kind for the CDRRF. They will form part of the knowledge management efforts of a wider US$25.78 million grant facility funded by CDB; Department of Foreign Affairs, Trade and Development of Canada and Department For International Development of the United Kingdom. CDRRF aims to build community capacity for disaster risk management through adaptation to climate change and reduction of vulnerabilities and building resilience to the impacts of natural hazards. Governments have established firm foundations for the operation of the Nagoya Protocol on Access and Benefit-sharing of Genetic Resources, contributing to the momentum towards entry into force and setting the agenda for the first meeting of its governing body, expected to take place in October 2014. The third meeting of the Ad Hoc Open-ended Intergovernmental Committee for the Nagoya Protocol on Access and Benefit-sharing (ICNP 3) successfully concluded last month in PyeongChang, Republic of Korea. Compliance –At ICNP 3, governments made major progress on issues relating to compliance procedures and mechanisms. This will greatly facilitate the task of the first meeting of the COP-MOP to the Nagoya Protocol to resolve the remaining differences and approve the compliance procedures and mechanisms as required under Article 30 of the Protocol. Global multilateral benefits-sharing mechanism –A major issue under discussion was the need for and modalities of a global multilateral benefits-sharing mechanism (GMBSM). If and when agreed, the mechanism is intended to address instances of benefit sharing, including the use of traditional knowledge associated with genetic resources, that occur in transboundary situations or for which it is not possible to grant or obtain prior informed consent. ICNP agreed on a road map that will allow Parties to unravel the complexities of a GMBSM. Access and Benefit-sharing Clearing House (ABSCH) – During the meeting, the pilot phase of the ABSCH was launched, and training sessions were held. In the formal discussions, governments underscored the critical importance of a fully functional ABSCH for the implementation of the Nagoya Protocol, and requested that all efforts were made to ensure that the ABSCH is fully functional by the time of entry into force of the NP. Monitoring and reporting – COP-MOP 1 is expected to invite Parties to submit an interim national report on the implementation of their obligations under the Nagoya Protocol. This report will contribute to the first evaluation of the effectiveness of the Protocol. With a view to facilitate this, ICNP-3 requested the Secretariat to develop a draft format for the submission of the report and to consolidate the information contained in the reports and information published in the ABS-CH. 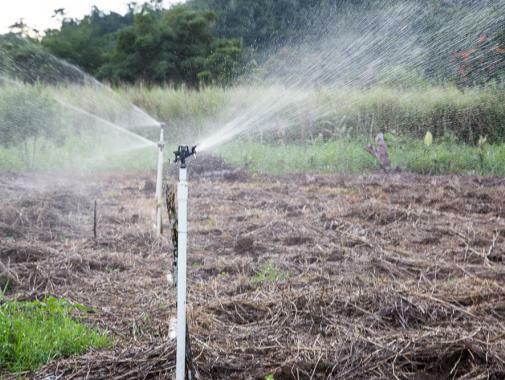 Capacity building – ICNP3 recommended to the COP-MOP the adoption of a strategic framework to assist developing countries to build capacity to implement the Nagoya Protocol. This framework provides a capacity-building strategy that will be the cornerstone of implementation on the ground and play a pivotal role for making the Nagoya Protocol a reality at national level. The Convention on Biological Diversity (CBD) Opened for signature at the Earth Summit in Rio de Janeiro in 1992, and entering into force in December 1993, the Convention on Biological Diversity is an international treaty for the conservation of biodiversity, the sustainable use of the components of biodiversity and the equitable sharing of the benefits derived from the use of genetic resources. With 193 Parties, the Convention has near universal participation among countries. The Convention seeks to address all threats to biodiversity and ecosystem services, including threats from climate change, through scientific assessments, the development of tools, incentives and processes, the transfer of technologies and good practices and the full and active involvement of relevant stakeholders including indigenous and local communities, youth, NGOs, women and the business community. The Cartagena Protocol on Biosafety is a subsidiary agreement to the Convention. It seeks to protect biological diversity from the potential risks posed by living modified organisms resulting from modern biotechnology. To date, 166 countries plus the European Union have ratified the Cartagena Protocol. The Secretariat of the Convention and its Cartagena Protocol is located in Montreal. For more information visit: http://www.cbd.int.